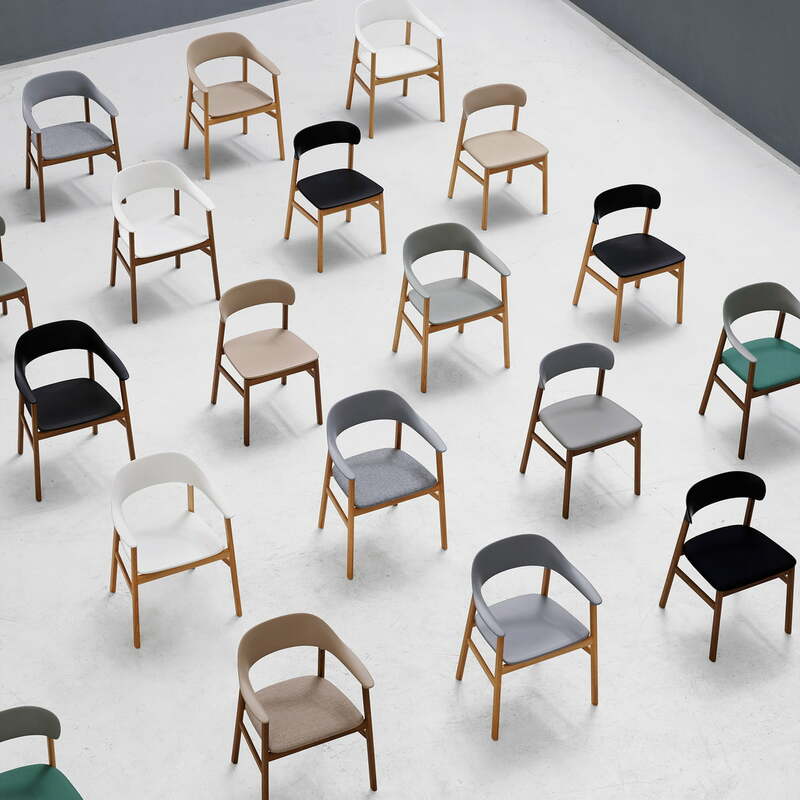 The Herit armchair by Normann Copenhagen shows off the enthusiasm of the designer Simon Legald for the Danish furniture design history. 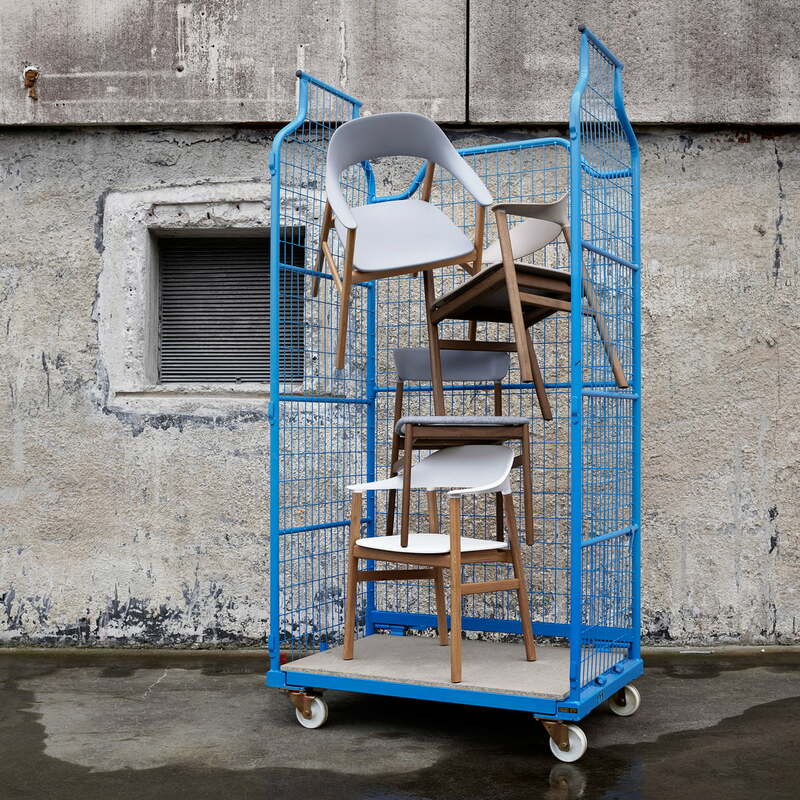 The clear and calm design language gives the chair a nostalgic touch, while the contemporary mix of materials and innovative production methods is a modern twist. The frame of the chair is made of oak wood which brings natural warmth to its surrounding space thanks to the clearly visible grain. In contrast, the backrest and seat surface made of plastic introduces a modern component. 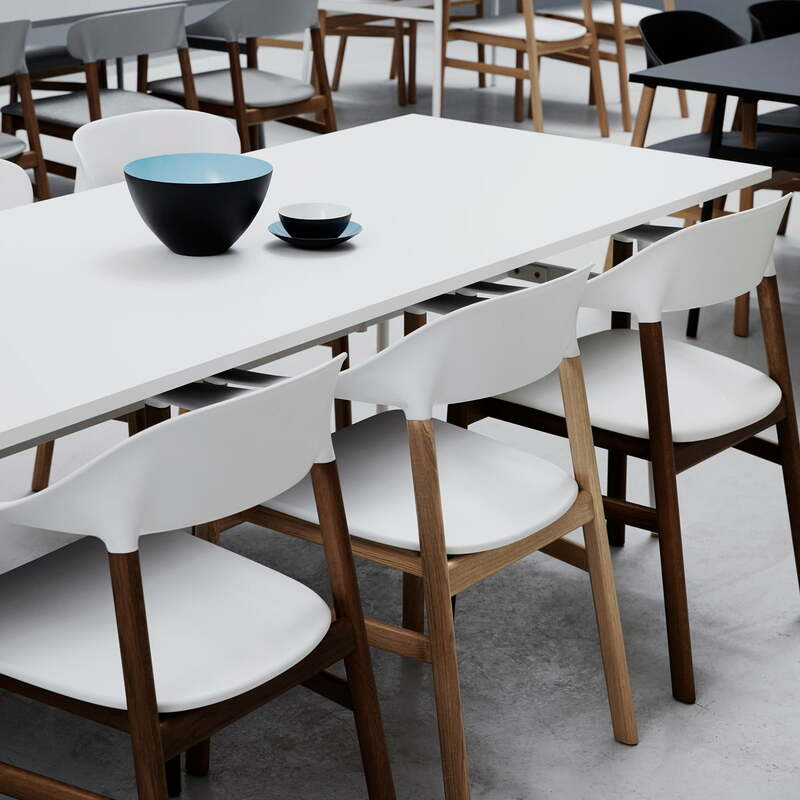 During the shaping process, emphasis was placed on a design without embellishments and on an ergonomic shape. As a result, the seat surface and backrest perfectly adapt to the body and guarantee maximum comfort. 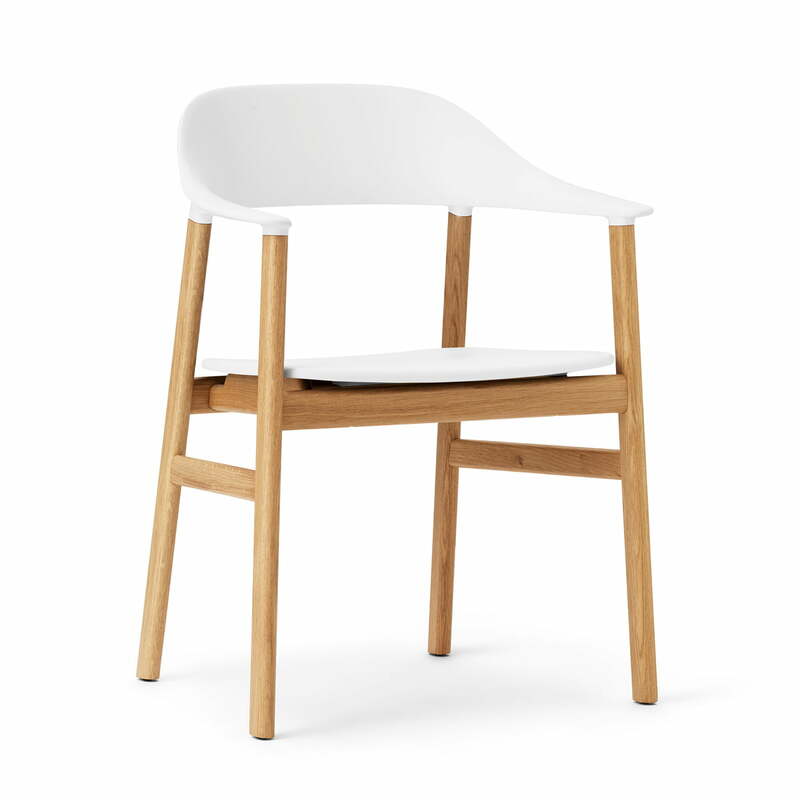 In addition, armrests provide additional comfort and make it possible to get into the perfect position. 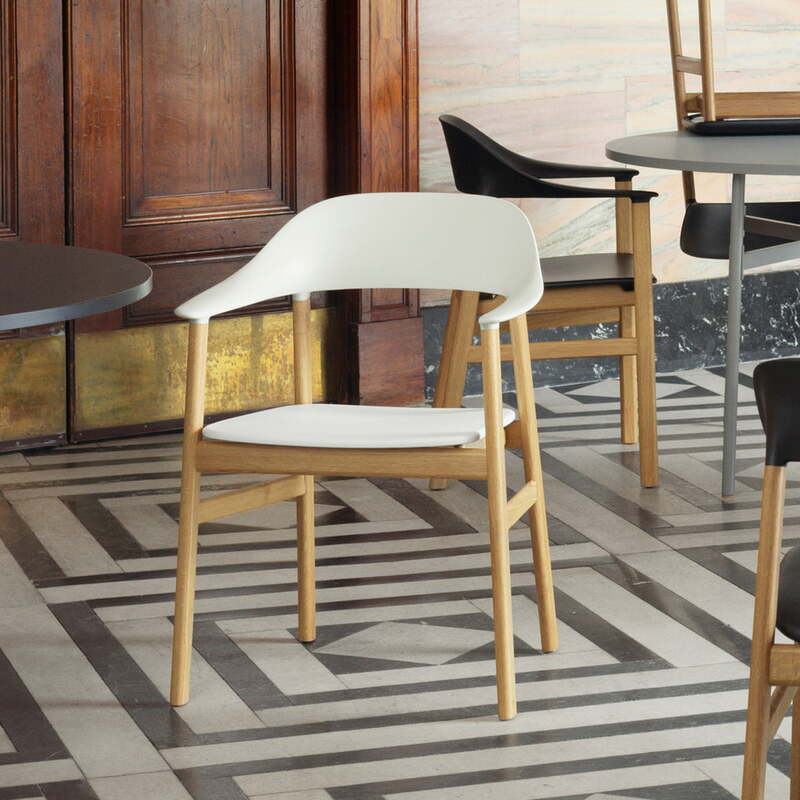 Thanks to the harmonious proportions, carefully selected materials and simple, Scandinavian design language, the chair fits perfectly into any environment and cuts a fine figure in modern as well as classical interiors. 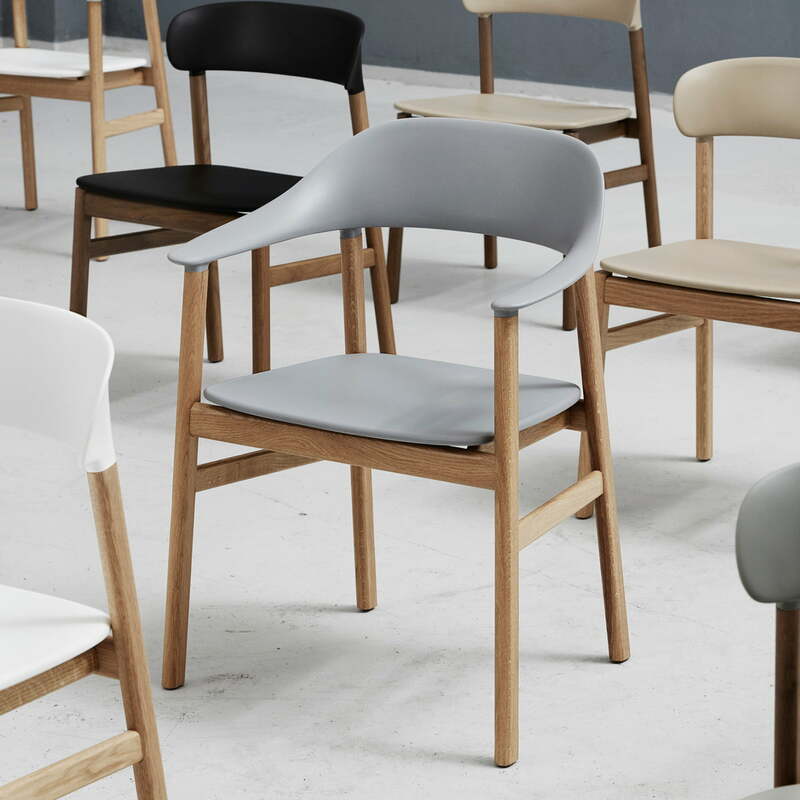 Whether it is used at the dining table or alone in the hallway or bedroom, the Herit armchair by Normann Copenhagen has a timeless appearance that invites you to relax. 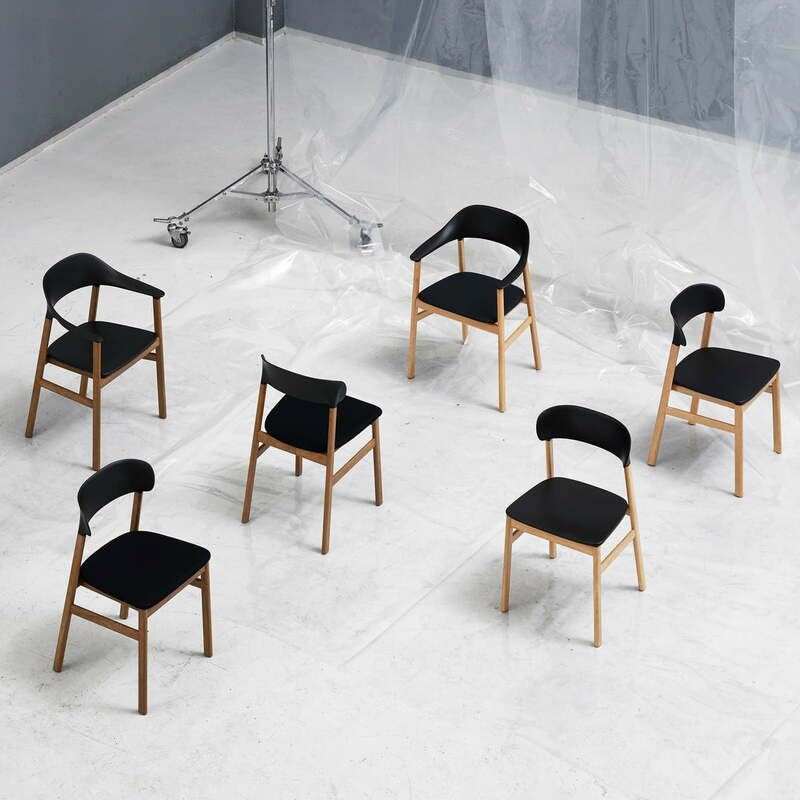 The chair is available in various colours with differently processed oak wood frames. 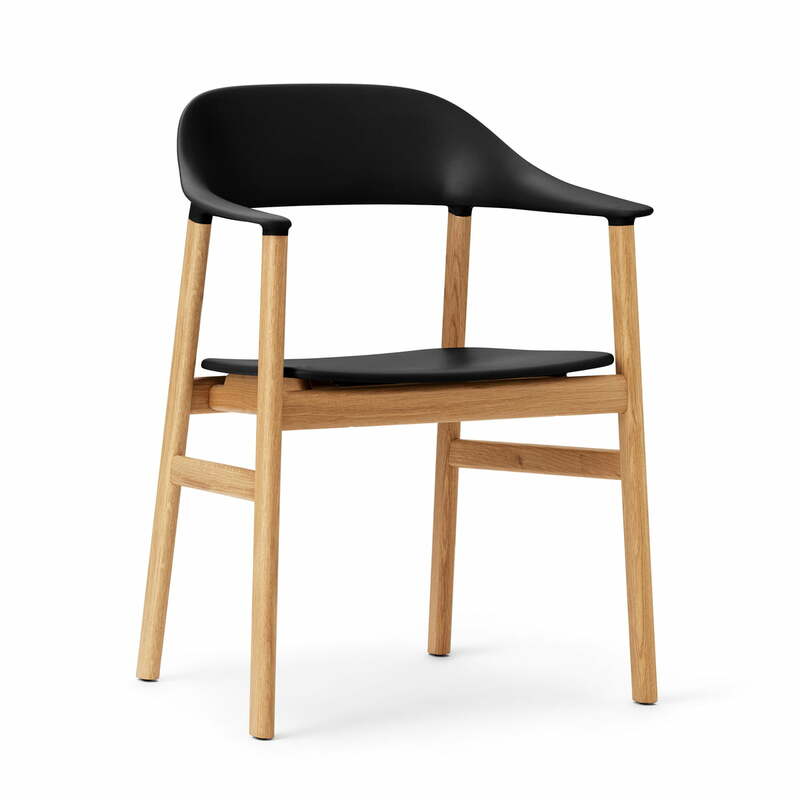 In addition, the chair can also be purchased without armrests.